After the success of trekking the 96 miles of the West Highland Way in Scotland (ok, there was that one blip) we (Gemma and friends, Gordon and Laura) decided to embrace the long May Day weekend and head to the striking west coast island of Bute to tackle the supposed 25 mile/40km (whoever wrote the guidebook could not count, add another 8km!) West Island Way. 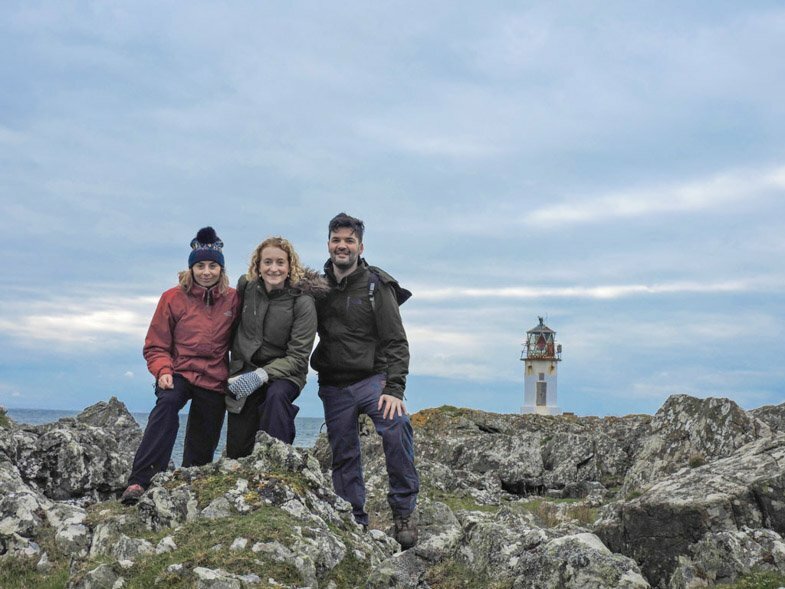 Passing roaring waves, friendly seals, unsuspecting cows and very few fellow ramblers, we enjoyed glorious dry weather for the most part of this Scottish hike, as well as a few too many vodkas in the capital, Rothesay, on the Saturday night! 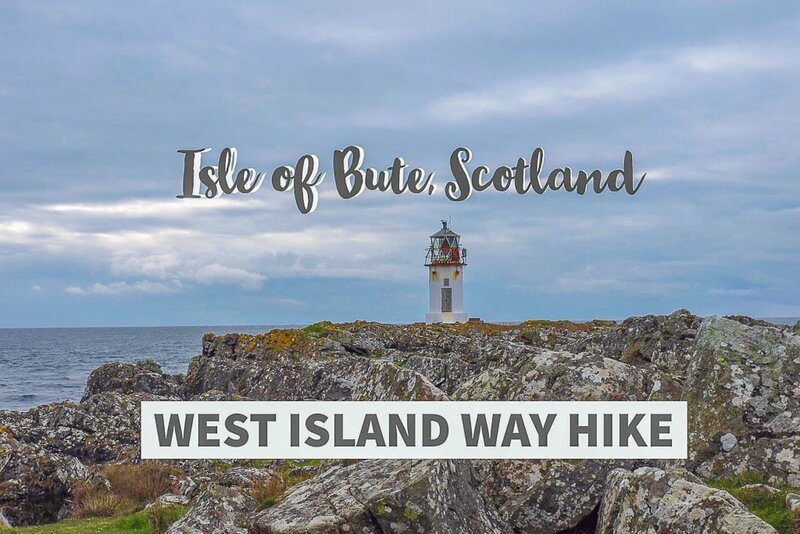 Here’s our guide for walking the West Island Way in two days (very doable), how to get there, the costs, and things to do in Bute along the way. Buteful! 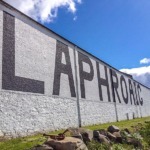 As we wanted to complete the West Island Way over two days, we decided to stray off the suggested route slightly, finishing day one back in Rothesay and spending the Saturday night in Bute’s capital. We then started day two at the top of Rothesay where we finished on day one. 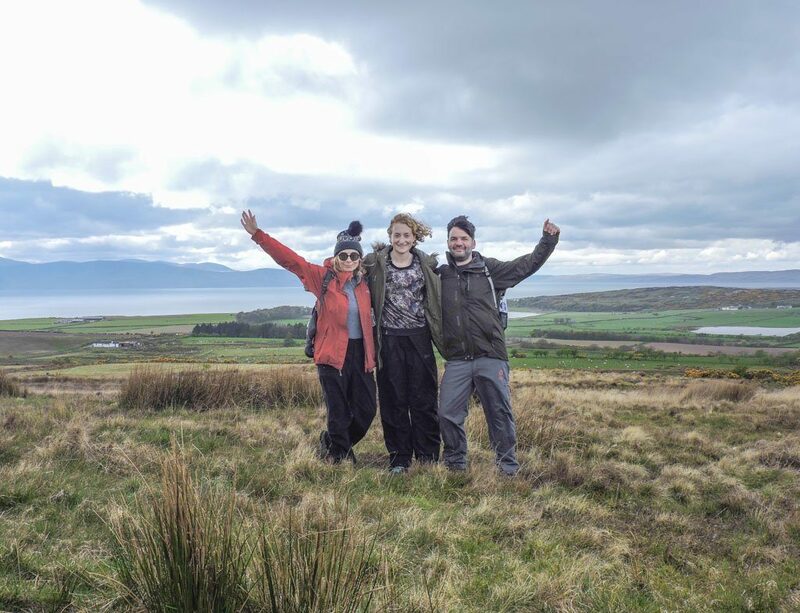 The south of the Isle of Bute is by far the most scenic stage of the West Island Way; it takes you along the coast, past Little Crumbia, Rubh’an Eun Lighthouse and on a good day, views of Arran in the distance. There is also a ruin which doubles up as a snack stop, though you need to take your own! A. Take the bus from Rothesay to Kilchattan Bay (for times see here or send them an email – very speedy response). If you are as lucky as us your driver will be Paul who doubles up as a tour guide for the journey (£2.90 single adult)! 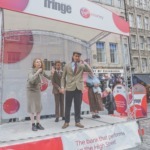 The bus stop is at Rothesay Guildford Square which is in front of the ferry terminal (heading towards the direction of the Boat House B&B). B. 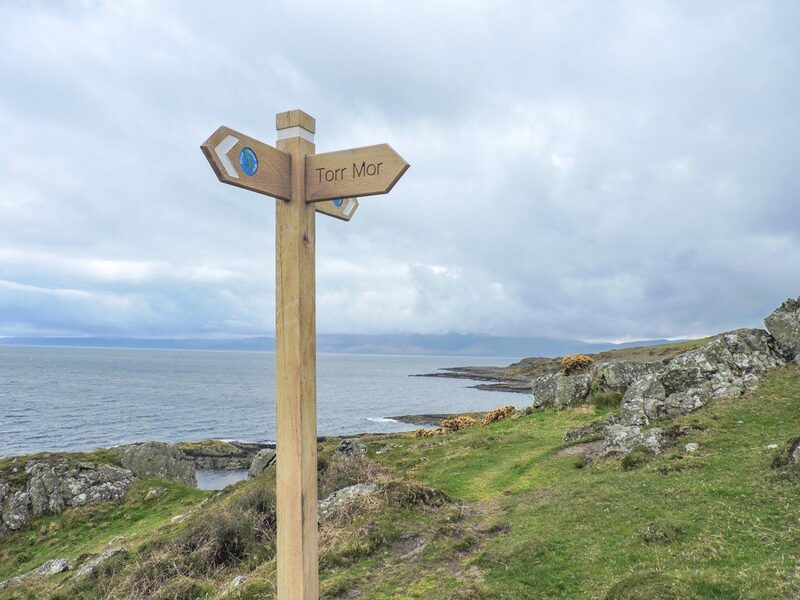 From here you will see a map of the West Island Way along with various other walks and a signpost highlighting the start of the West Island Way. Walk towards the water with the road to your back, passing through one of many gates. From here follow the path along the coast and past a shelter like cave (take note for if it’s raining and you decide to wait on the bus back!). 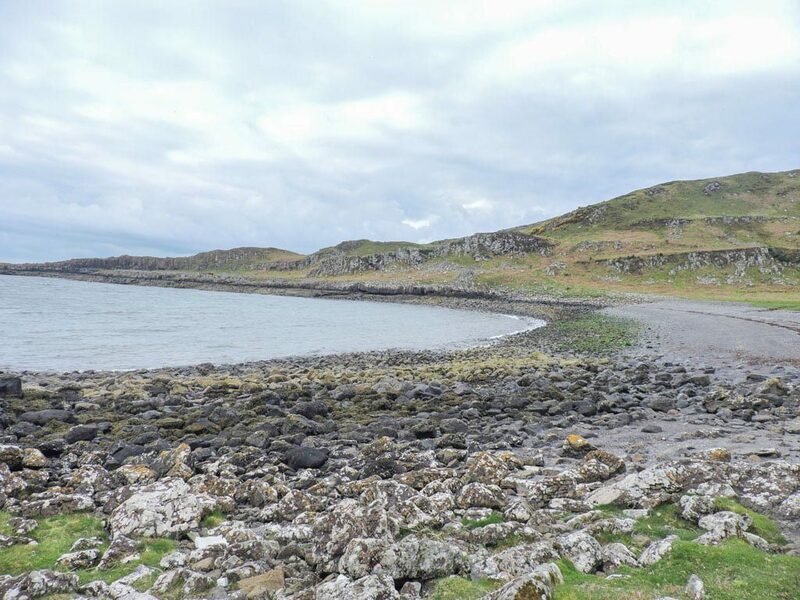 On the left you will see Little Cumbrae during this stage of the trek as well as the picturesque Rubh’an Eun Lighthouse. The West Island Way continues to the right (follow the designated wooden signposts with the white stripe) to GlenCallum Bay. C. This is where we made a slight wrong move. We headed straight across the beach to the very far left hand corner of the coast, it will quickly become apparent that there is nowhere for you go without some scrambling which you do not have to do on this easy walk. Merge to the right after the Bay up a slight hill, moving away from the shore (and not to it like us). The path will take you to the left and through a narrow pass which blocks out the wind (a strange feeling). We took a path to the right, slightly off course to avoid the families of cows. Beware, this area can be muddy. 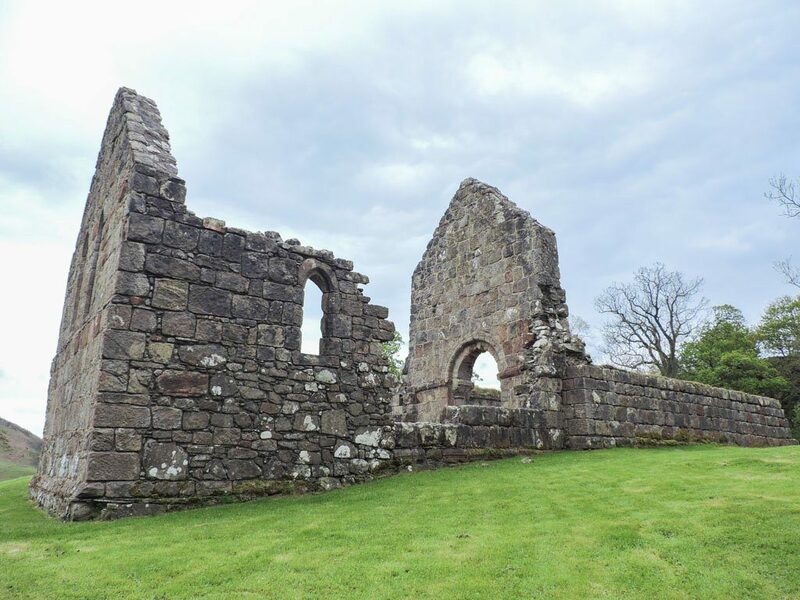 D. Follow the signs for St Blane’s Chapel to the left, if you have followed our path to avoid the cows you will want to veer back to the correct path so you do not miss the ruins of St Blane’s of Kingarth (a historic village). We stopped for a ten minute break here. E. Head to the far left corner of the field, we ducked under a fence at the end of this short stretch (St Blane’s should be behind you to the left if you are facing the fence), then walk straight ahead. 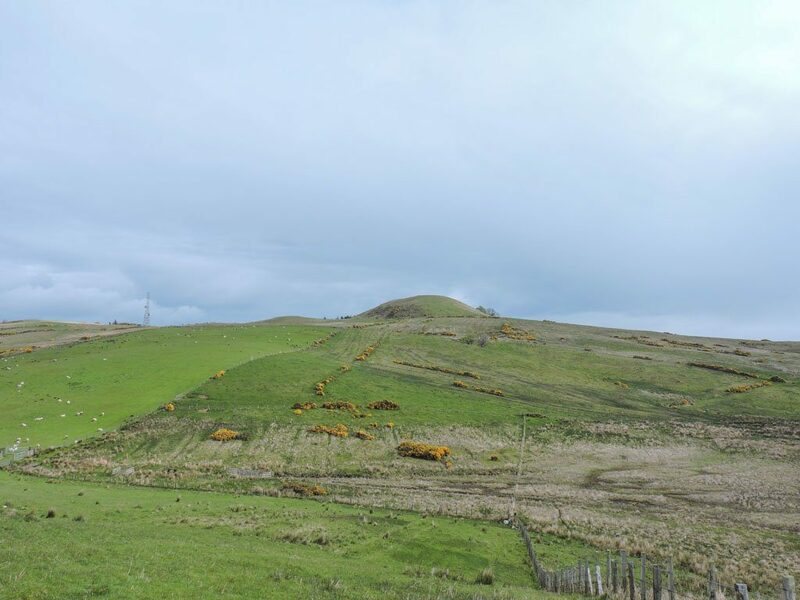 F. Hike down the farmlands with the Suidhe Chatain hill in front of you. It is well worth storing a bit of energy to get you up Suidhe Chatain for rewarding 360 views of the Isle of Bute. The other two opted for sitting and waiting on me at the bottom of the hill, can’t believe they missed the photo op! 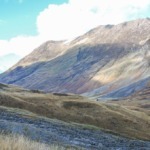 Head back down the hill, take a sharp left after the homemade step then left again joining the non-hillwalkers route (or alternatively do not climb Suidhe Chatain, take a right before the ascent, through a gate and walk downhill with the hill on your left). 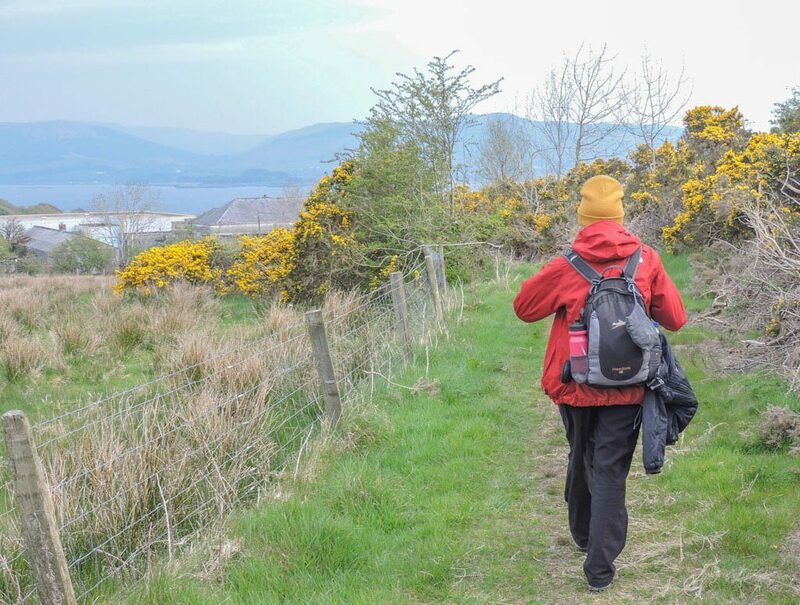 You will walk towards some houses, taking the exit into the woods on your left and then past more houses and through a lane to Kilchattan Bay. If you would prefer to continue walking, follow the WIW signposts behind the lane of houses which continue through the wooded area. This is where we stopped to eat our packed lunches. There is an area with benches and a free toilet signposted by international flags. There is a small shop in Kilchattan Bay which sells soup, sandwiches and drinks. This is to the right of the picnic area by the water if facing the houses. 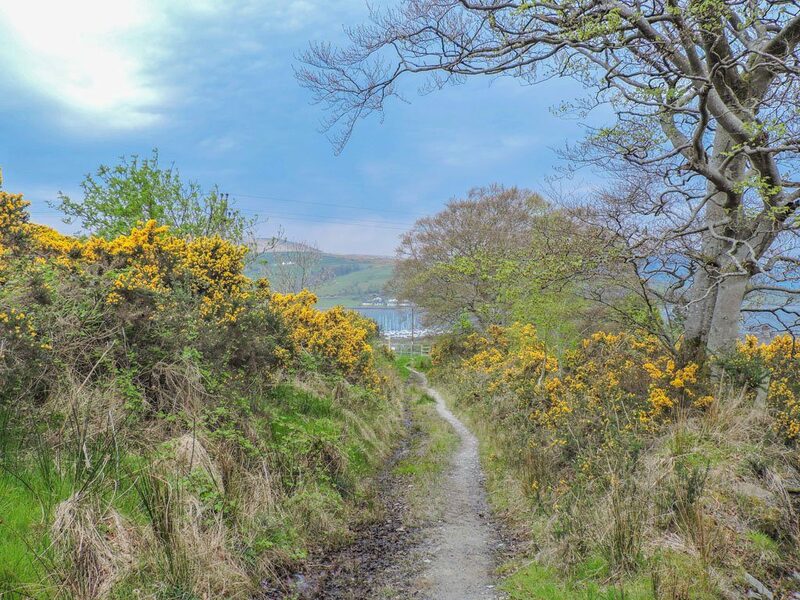 The Kilchattan Bay Circular is one of the shorter standalone Isle of Bute walks as there is the option of getting the public bus back to Rothesay, or to continue on with the West Island Way. A. Facing the houses with the picnic area/water to your back head right walking past the houses, the small shop and towards the Post Office. Just before the last house turn left, there is a WIW signpost tucked up this path. You will rejoin the wooded area path and if you are lucky will come across a tree swing (did you see Gordon on our Instagram Stories? I was too short to jump on the stick seat!) At the end of the woods walk across the road into the fields via the kissing gate following the path along the fence and through the farm passing a bright orange windsock towards Bute Golf Course. B. Watch out for any balls flying at your face (Clueless reference for 90s kids) as you walk straight through Bute Golf Course towards Stravanan Bay, one of the many beaches on Bute, taking a right. Here you will see views of the Isle of Arran (is that Arran? Yes!) The beach stage ends when you see a farm (and a car stuck in some sand, they’ll probably still be there trying to dig themselves out), take the right (there was no bridge as indicated in our West Island Way guide) walking past the farmhouse and onto the road. Turn right and walk along the road, aiming to take a left after a dip in the road. C. This right turn could easily be missed so pay attention for the WIW signpost. This path continues through trees and farmland then uphill. 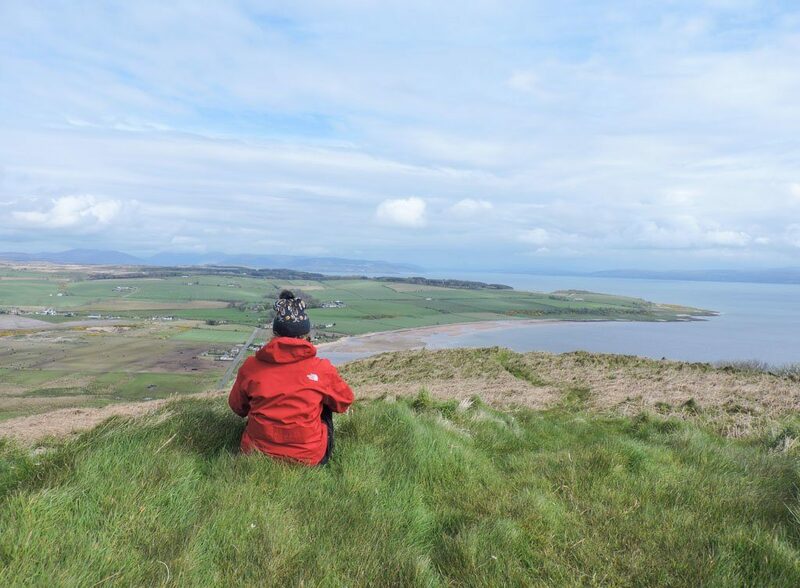 Here there are spectacular views of Bute and beyond and also a bench for a rest. This stage of the West Island Way is very open so will be brutal in a downpour. We got lucky! D. The path continues through farmlands, eventually taking you down with Rothesay in the distance on your right and a farmhouse on your left. You want to take the left, walking diagonally across the farm, towards the farmhouse which you walk through (sorry owners!) coming out at Loch Fad. We were fading at this stage so blasted the 90s tunes through the JPL Clip portable speaker to raise the spirits. E. Following the path to the right through the trees and farms you will come to the outskirts of the town of Rothesay where we end day one of the West Island Way. Head down Barone Road (mentally noting number 99, this is where you kick off the walk tomorrow) to the centre of town. A. Make your way back to 99 Barone Road (there a West Island Way signpost across the road pointing towards the lane next to 99) and walk along the path. Today is mostly farmlands and will be very muddy if raining. Walk across the field, diagonally, all the way to the end (farmhouse) and walk through the gates then into another greenery area that goes downhill. Take a left when you are facing the old school building, keeping right before you get to Westland Farm. B. Go through the gate and take a sharp left and go through more gates then left again. Our West Island Way guide indicates that a forest of pine trees is on your right, however, this is no longer the case, do ignore that path coming in from the right though. Walk down the hill until you approach a minor road. Here you can end the walk at Port Bannatyne (if making this your destination on day one, or if you decide that you had too many drinks at the Scottish Honky Tonk the night before!) Up to here takes around 35 minutes. C. With the water and boats at Kames Bay on your right (in the distance through a fence) walk along the path into the wooded area. F. OK so you have decided to carry on, the weather must be nice, walk past Lower Ettrick Livery Farm on your left and passed Upper Ettrick Farm following the straight path until it becomes faint (30 min). Keep Glenmore Farm on your right, go through the gate and keep walking through the farms. Parts of this stretch are muddy, even with two days of dry weather. G. Cross a small stream/trickle of water and head up the hill, you will see signposts in the distance. H. Head up the hill following the two WIW signposts which end at a fence (not a gate as indicated by our guide), climb over into the wooded area for a change of scenery (praise be!) Glenmore Farm (stage F) to here takes around two hours with a 15-minute lunch. I. Continue through the woodland path, passing a look out on your right, ignoring the walk for Sight Hill (no, not the Glasgow one), until you head downhill to a West Island Way signpost indicating left for Rhubodach or right for Port Bannatyne (our printed guide suggests that this path to the port is not great). Unfortunately, there was little in the way of WIW maps online that were clear to the untrained eye (see here). Our hosts recommended popping into the Isle of Bute Discovery Centre (Visit Scotland Information Centre) close to the Rothesay ferry terminal, however, it was closed by the time we had docked. 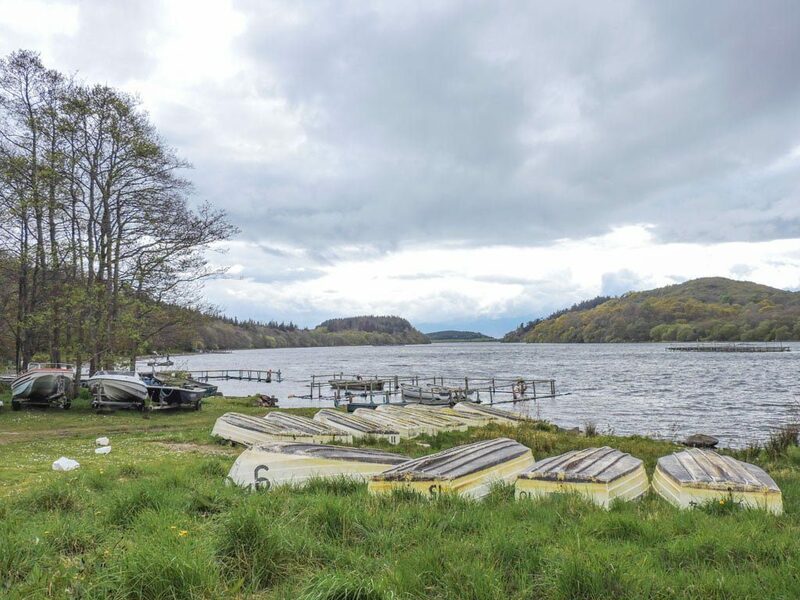 The West Island Way is very well signposted and with this guide (copy and paste to your notes or email or Google docs to avoid losing phone signal) I’m confident you will be ready to loch and load! This was packed in my new weekend bag – the ultra attractive CabinZero carry on. We’ve teamed up with the UK based travel company, offering our lovely readers 10% off any CabinZero purchase. Which colour do you like best? Rothesay is a small town with quite a few pubs and restaurants. You can dress up or down, there’s an eclectic mix of patrons. 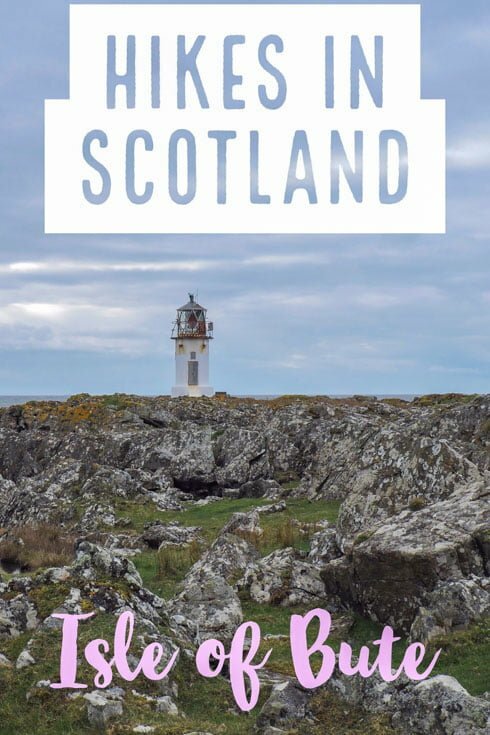 I cannot stress how close the Isle of Bute is from the city which makes it a perfect Glasgow day trip if you would like to mix a bit of city culture with the west coast of Scotland’s outdoors and nature. There are over thirty Rothesay hotels and guest houses which vary in quality, price and services offered. We stayed with Sara and Paul (excellent communication and very friendly hosts) at the Boat House B&B which is a feast for the eyes as well as the belly! 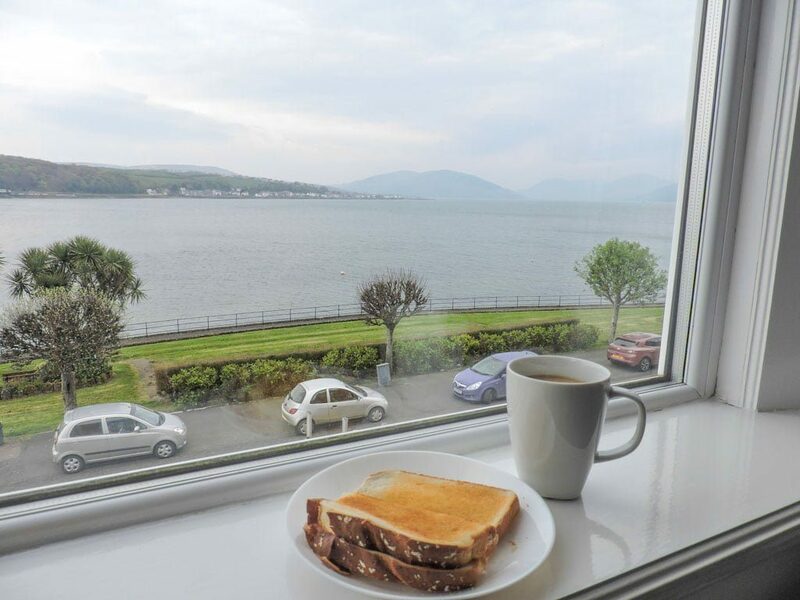 Each of the Boat House’s five super suites has sea-views and an extensive continental breakfast selection of cereals, muesli, bread, butter, jam, marmalade, orange juice, teas, coffee and milk. Another bonus of the Boat House is that it is a 5 minute (if that) walk from the ferry. This is how close this Isle of Bute accommodation is to the port. The Boat House, Bute also has a one bedroom self-catering flat named ‘The Nook’ for those looking to cook in (there are decent restaurants on the Isle of Bute for those who don’t). Although the Boat House has five rooms it is secured by a telecom at the front door, key access to each apartment and the owners live onsite. Oh, and our suite had adjustable heating which is important for when the adrenaline drops after the day one West Island Way hike (nothing some heat, a bath, and a glass of fizz won’t solve). There is a train link between Glasgow Central station in Scotland’s largest (and best in my opinion) city and Wemyss Bay which takes less than one hour. 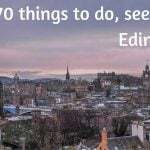 If you are coming from Edinburgh (Scotland’s capital) there is a train link between the two cities (and don’t forget to check out my advice on things to do in Edinburgh). From Wemyss Bay, you take the Caledonian MacBrayne Ltd Island of Bute ferry which is very comfortable with indoor and outdoor seating for those who want to see Bute before they dock (or wave goodbye to Wemyss Bay). There’s even a section for dogs (move away from the puppies Gordon). The ferry ride takes 35 minutes. You can purchase a ticket which takes you from Glasgow Central (by train) to Rothesay (by ferry) for £19 return. For times check out the Trainline website (from Glasgow Central to Rothesay). Wemyss Bay ferry parking is available but it is limited to 100 spaces and there is a charge (you can find free parking in the town if you are happy to walk a short distance) or you can take your car on the ferry at an additional cost. The Gourock to Rothesay ferry still requires passengers to take the train to Wemyss Bay (the journey takes over one hour). 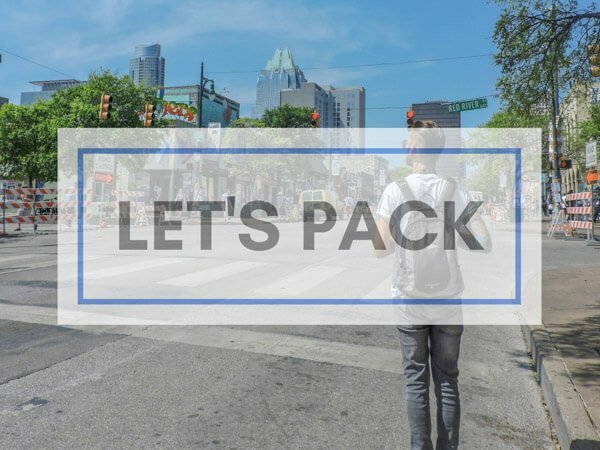 So now you know how to get there, where to stay, what to eat, where to party, and how to walk the walk – what’s stopping you? The Isle of Bute is close to Glasgow there really is no excuse not to visit this coastal haven of beaches, boats, and banterful bus drivers. 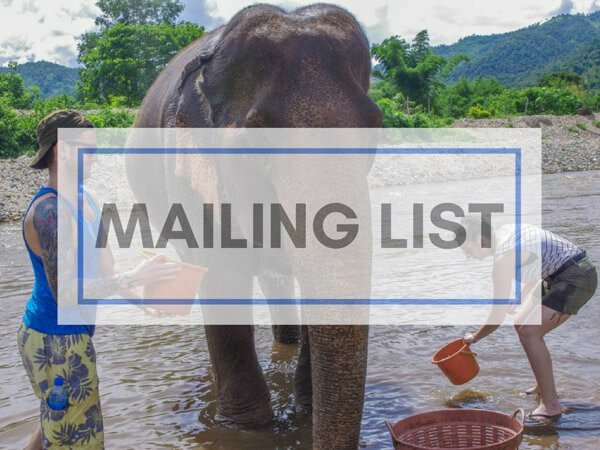 Oh good news readers, there’s now a West Island Way website! 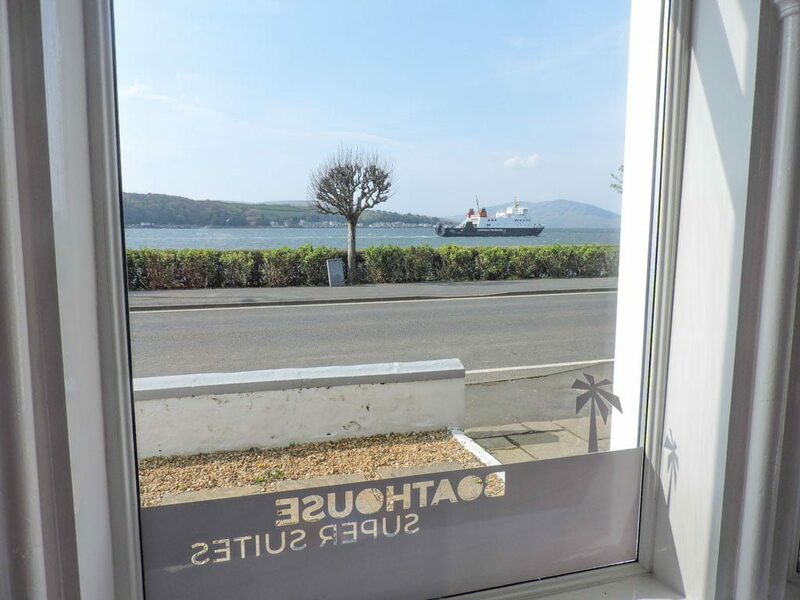 Have you been to Bute? Ask us any questions in the comments below. 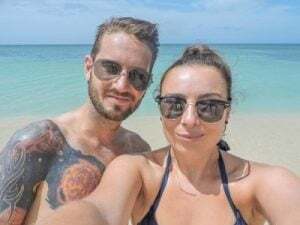 Disclaimer: Thanks to the Boat House B&B for hosting us (an honest review as always, check TripAdvisor to compare), Walk Highlands for their guide which we’ve updated in this West Island Way review and CabinZero for our weekend bag in blue. Love Mountains & Great Pictures! Awesome Information shared by you. Love to be spent time at West Island Way. Ah thank you for reading. Scotland is full of lovely walks. Glad you enjoyed the West Island Way and the weather was kind. There are still plenty more shorter walks to do on the island and I’m planning to write about my favourites soon so you might even be tempted back! Thanks for reading Susanne! Such an easy trip to make from Glasgow I’ll be back! 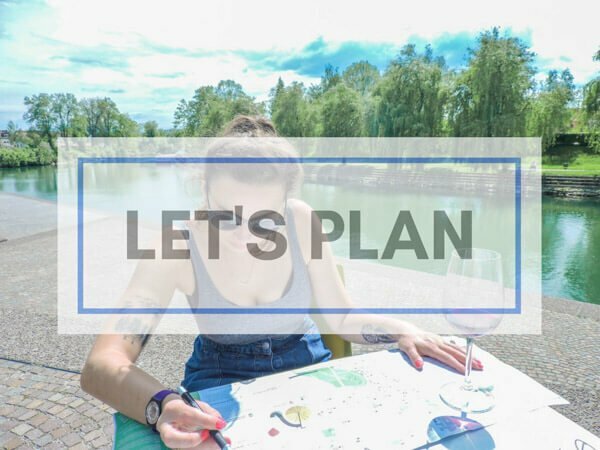 Great blog and glad you enjoyed the WIW. Even since you were over Gemma the Bute Conservation Trust team have been out populating as many of the new way markers with logos and arrows to further improve the walkers experience on the WIW. We have a fledgling website at WestIslandway.co.uk which you would be most welcome to add your blog or thoughts. We are continuing to improve the experience for walkers and welcome all comments. A very good one being access to maps after the TIC shuts. Excellent! I wish we had this before we went. I’ll add to it our post. Great post! We visited Island of Bute last year, it was stunning road trip. If you have a chance you should go to Islad of Sky too. It’s even more beautiful. 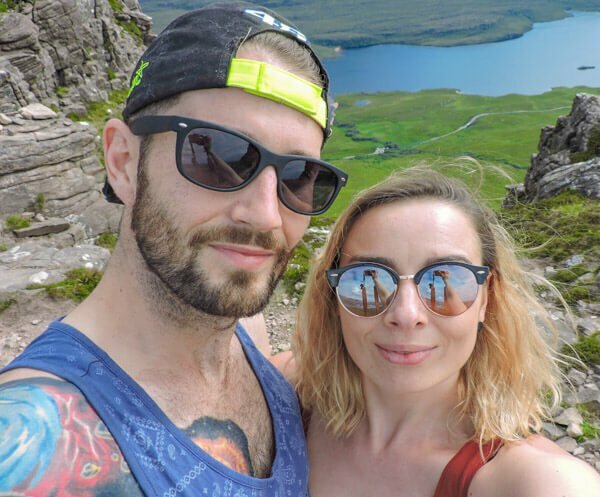 Ah I love Skye, I’ve been twice – here’s our guide.